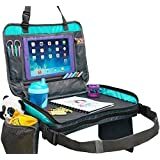 ✅DETACHABLE KIDS TRAVEL TRAY 4-in-1 ORGANIZER AND TABLET HOLDER - Unzip the portable travel tray carry bag to separate the two parts and use them independently. Hang the tablet holder on the back of the front seat and the kids can use their tablet without the travel tray table. Kids can also use the travel organizer tray on its own. ✅TRAVEL SNACK TRAY WITH CUP HOLDER AND STAIN-RESISTANT NYLON MATERIAL FOR A MESS FREE SNACKTIME - Less mess makes a happy mom. The cup holder in our travel trays ensures that drinks remain stable and stay in place. If there are spills the stain resistant nylon material makes cleaning easier. Just wipe with paper towels and you are done! 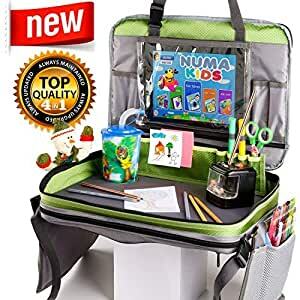 ✅STURDY TRAVEL LAP TRAY IS PERFECT FOR WRITING, COLORING, AND PLAY- Our firm travel activity tray provides adequate support to enable kids to write or color without bending the foam travel tray. The sides are firm enough to stop rolling crayons and pens from falling but are still comfortable when leaned on. Unused pens and crayons can also be stored in the built-in pencil case. 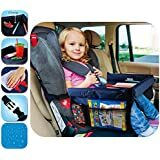 ✅OUR FOLDABLE TODDLER TRAVEL TRAY IS COMPATIBLE WITH ANY KIND OF CAR SEAT- Our car travel tray comes with adjustable straps that can wrap around any car seat for a custom fit. Large buckles secure this travel tray for toddlers in a snap leaving no time for toddlers to start with their tantrums while mom prepares them for the road trip. ✅ CONVERTS INTO A CARRY BAG FOR KIDS SO THEY CAN BRING IT ANYWHERE-Our portable travel tray zips into a carry bag so kids can bring their stuff with them if they want to. The adjustable straps provide a comfortable fit for children and adults alike. Kids will surely love this seat travel tray. Bring Fun To Your Road Trips! Make road trips more fun for you and your little ones with the NumaKids 4-in-1 Travel Seat Tray. Our bestselling travel tray makes it easier for your child to eat, watch videos, write, color or do other activities while traveling. It can also be used on a stroller, kids chair, or sofa. Detachable Tablet Holder. With our 4-in-1 Toddler Kid Travel Tray, the tablet holder can be detached and hung on the back of the seat for the child to use it on its own. With the clear and large PVC window,the tablet can easily be controlled and accessed even when inside the holder. This also helps protect the gadget from dirt and falls. Sturdy Lap Tray For Travel. 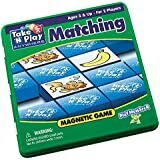 Writing and coloring feels more comfortable with the sturdy kids travel lap table. 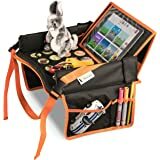 Whether it is attached in the car or in the stroller, the side walls of the tray are able to keep the crayons and pens from rolling and falling on the floor. Storage Space. Kids can packing their favorite toy, snack, or book in this 4-in-1 kids car organizer. The different compartments allow you or your child to organize the things that they want to bring on their trip. Converts Into A Bag. 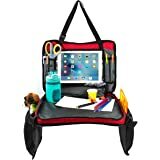 When the trip is over, it is easier to pack up all the kids stuff by converting this travel lap tray into a bag which can easily store a tablet, some books, school supplies and snacks. Everyday use too! 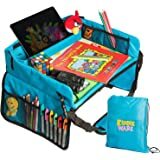 Make it easier for your child to eat, watch videos, color, write, and enjoy your trips away by getting them this 4-in-1 Travel Organizer Tray. Get one for your child today! 5.0 out of 5 starsThis is a wonderful product!!! I just love this product! But, most important, my son loves it too. Isn't that great? It is the perfect seat back travel tray. And it has a lot of functions. I can actually avoid the mess in my car, because he can play without spreading everything and he can also watch his favorite movies. This travel tray is of high quality and super nice! When it is empty it is very light, which is a good thing, because my son can carry it. And having detachable parts is great because when one compartment is hanging from the seat the other can be used to do his artwork :) I'm completely delighted and recommend this to anyone who has kids! 4.0 out of 5 starsFits perfect and works great! This fits perfectly in my son's carseat and can hook to the seat in front. Great storgage and very easy to clean. The only draw back is that if it were a little smaller it would sit up better when attached to the back of hte front seats. 5.0 out of 5 starsNot for kids only! Excellent product! Very versatile and not for kids only. I brought one for myself. 2.0 out of 5 starsNot suggested for shorter front seats. Does not work well with shorter front seats. Must lay on lap for any stability. Side pockets do not stay snapped and are hard to use.